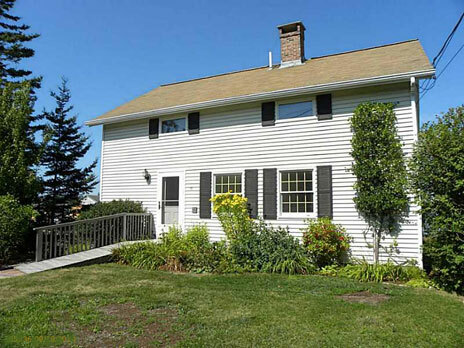 Seaside Rose is a lovely cottage located right on the harbor in Bass Harbor. 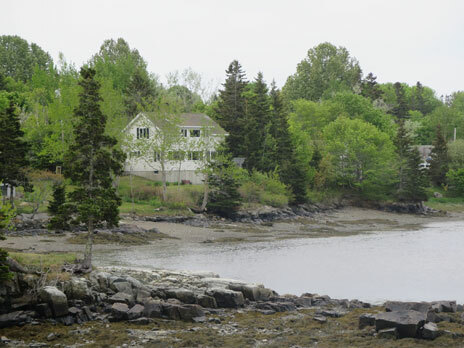 Bass Harbor is a wonderful traditional seacoast community. 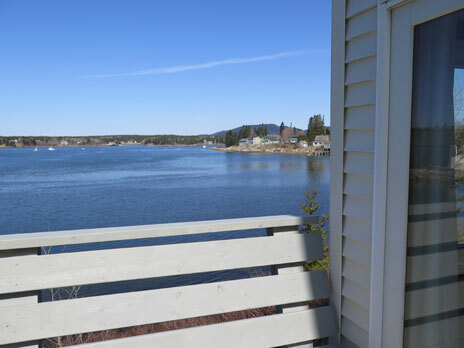 From the cottage you'll have wonderful views of the busy harbor from the many waterside windows. See lobster and other fishing boats, sailboats, Bernard Mountain and our pretty seacoast birds! There is nice outdoor space on the deck for taking in the sights, as well as the yard on the water side of the cottage. From the water's edge you can launch a kayak! 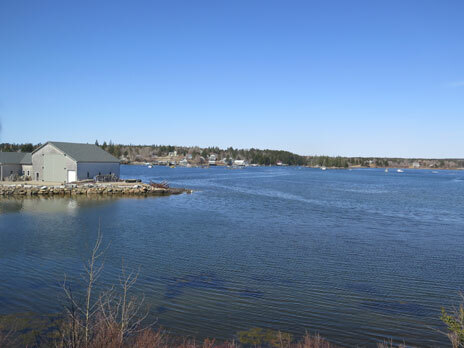 Visit the Bass Harbor Lighthouse, take the Swan's Island Ferry for a bike trip to Swan's Island, take a cruise with Island Cruises (just a short walk away from the cottage), enjoy some well-known local seafood restaurants—all just minutes away (a couple you can walk to)! And you're just a 7 minute drive to the village of Southwest Harbor for shopping and fine dining! On the main floor of the cottage is the kitchen, dining area, living room, full bathroom and queen bedroom. On the second floor is a large somewhat open room with two queen beds (visually separated by the bathroom), sitting area and bathroom with shower. Amenities WIFI, cable TV, dishwasher, washer/dryer, gas BBQ. Sorry, no landline phone but cell service is good. Click here for more complete list of household items/amenities. There are several Acadia hiking trails within a few minutes drive from the cottage, as well as the Seawall Picnic area. The closest entrance to Acadia's Park Loop Road is about a 25 minute drive (Cadillac Mountain entrance). In addition to Acadia National Park other activities in the area include swimming, boating, hiking, deep-sea fishing, whale watch tours, public golf courses, water park, miniature golf, lighthouse tours, and oceanarium!